A few weeks back I got an amazing haircut at Brambila Salon in Santa Monica. I searched on Yelp for days, reading review after review on salons and stylists. I finally decided on Brambila because of excellent reviews, beautiful salon pictures and convenient location. My stylist, Jam, used all Unite products on my hair and I could not get over the scent. 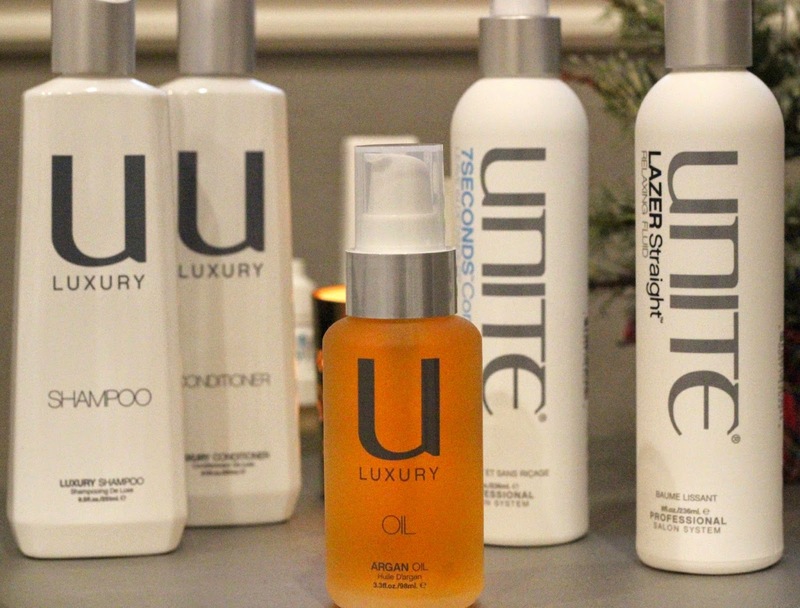 Unite products are the best smelling products, ever! Although I had absolutely zero intention of buying products to take home at the end of my appointment, I ended purchasing quite a few.... setting my bank balance back quite a lot. Here's the rundown on what I got: Unite Luxury Shampoo, Unite Luxury Conditioner, Unite Luxury Argan Oil, Unite 7Seconds Condition and Unite Lazer Straight. So far all of the products produce great results and are super luxurious to use, but I love the oil and straightener best because they smell like candy! I'm not sure I can ever justify buying these products on a regular basis, because of the price, but I will enjoy the scent and the results for a little while.